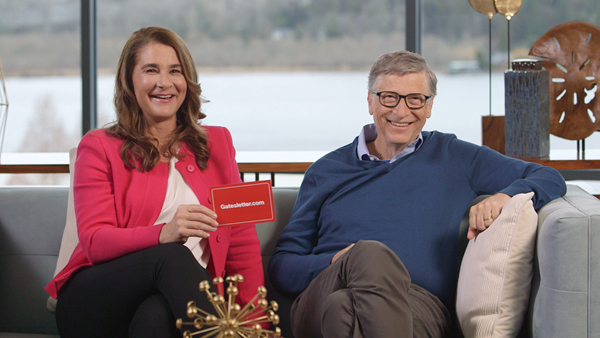 On Feb. 12, 2019, Bill and Melinda Gates shared their 2019 Annual Letter, "Things We Didn't See Coming." In this year's letter, they listed nine things that had surprised them over the course of their nearly two decades of work together in global health and development. They shared surprises that had both worried and inspired them, and observed that surprises often serve as powerful calls to action. "Twenty-five years ago, we read an article that said hundreds of thousands of kids in poor countries were dying from diarrhea. We believe in a world where innovation is for everyone—where no child dies from a disease it's possible to prevent. But what we saw was a world still shaped by inequity," wrote Bill and Melinda Gates. Surprises in this year's letter address topics including the importance of investing in Africa's growing population of young people, sources of greenhouse gas emissions that don't get enough attention, the reasons data can be sexist, and the nationalist case for globalism. Bill and Melinda Gates shared their 2019 Annual Letter "Things We Didn't See Coming" on Feb. 12, 2019.